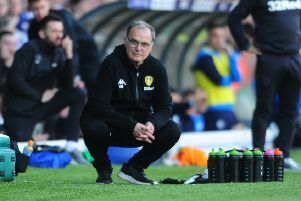 Leeds United scouts have been spotted at several matches in Portugal this week, although it is not known which player they are monitoring. Representatives from the club reportedly watched both Porto and Benfica in action along with scouts from Fulham, Manchester United, Juventus and Villareal. (A Bola). Two Blackburn players are in demand with Premier League clubs. Tottenham are pursuing star man Bradley Dack, while Liverpool, Manchester United and Manchester City are a host of clubs chasing youngster Vilius Piliukaitis. (Team Talk).